Just because your LASIK procedure is over and you are experiencing clear vision doesn't mean you can stop caring for your eyes. Post LASIK care is extremely important, which includes continued use of sunglasses that have 100% UV protection. 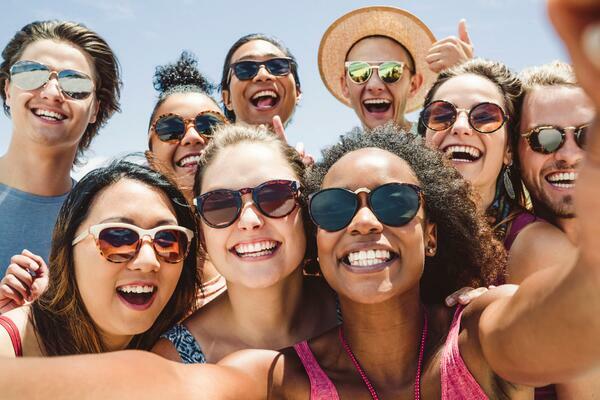 In the days following your procedure, sunglasses can alleviate any light sensitivity you have been experiencing, and in the months and years following, they can have long term benefits for your eye health. Ultraviolet rays are often associated with the harmful effect they have on the skin. Taking measures to protect your skin with sunscreen is equivalent to protecting your eyes with sunglasses. If too much UV light is absorbed, eye structures like the cornea, lens and retina can be damaged. Absorption of UV light has also been associated with causing eye conditions like cataracts and macular degeneration, which can both severely affect your vision. Not only do sunglasses provide protection from harmful UV rays, but they also act as a barrier against wind and dust particles. Both of these can cause your eyes to become uncomfortably dry and dust particles could even cause a corneal abrasion, which can be very painful. Sunglasses are an important part of the healing process after LASIK. You will be given shields to protect your eyes immediately after surgery, but you should continue to wear protective sunglasses to shield your eyes against the elements and UV rays. You also should consider wearing them them to bed the night of your procedure to prevent yourself from rubbing your eyes. Are you convinced yet? There are more benefits to wearing sunglasses after LASIK. If you experience headaches, blocking light can help the pain and discomfort. They also protect from glare when the sun is at its lowest point in the sky and has a harsher reflection on roads and water. Adding polarization to your sunglasses can help greatly with reducing glare. Sunglasses are essential for your eye health following your LASIK procedure and are not just a fashionable accessory. Make sure you have a pair of protective suns ready to wear when you leave on surgery day! 877.664.2499 © 2017 Indiana LASIK Centers All rights reserved.